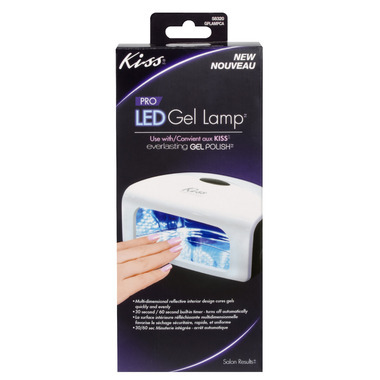 The Kiss Pro LED Gel Lamp provides a gorgeous manicure and pedicure for up to 2 weeks of wear all from the comfort of your home. The multi-dimensional reflective interior design cures gels quickly and evenly for a long lasting finish. This lamp also features a 30 second or 60 second built-in timer that turns the machine off automatically so you don't have to worry about setting a timer or "over-baking". For best results use with Kiss Everlasting Gel Polish.